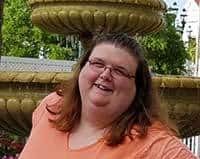 Don’t use all of your vacations days at the Walt Disney World parks. I suggest spending at least one of your vacation days exploring Disney Springs. Disney has made Disney Springs into a dining and shopping mecca. So many places to shop for all sorts of things. So many different places to eat. You could easily spend hundreds, if not thousands of dollars at Disney Springs. I like doing Disney on a budget though. 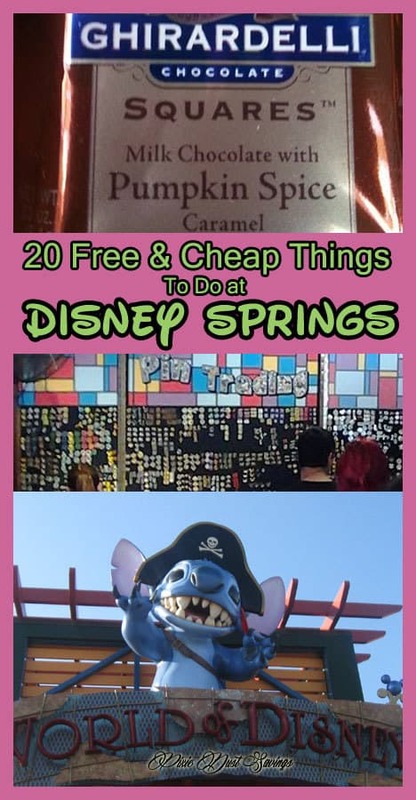 Here are 20 Free & Cheap Things To Do at Disney Springs! 8 Pin Trade at the Pin Hut. 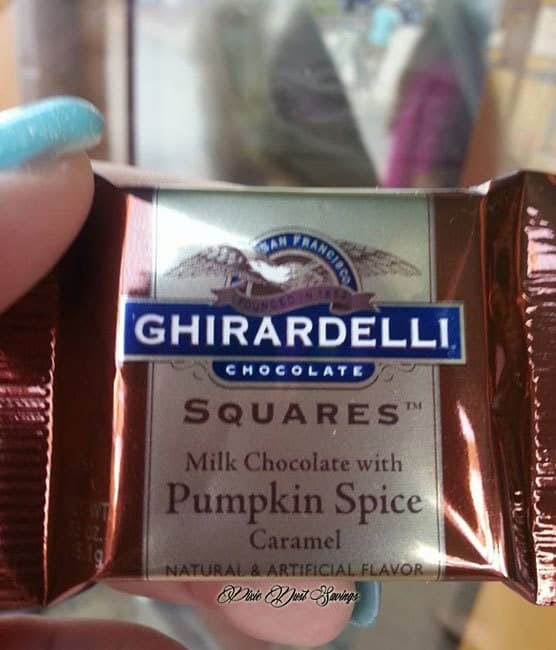 Grab a FREE Chocolate from Ghirardelli Chocolate, my husband likes to duck in several times a day. You can also get a Slushie Sample from Goofy’s Candy Company. In the evenings there are moving statues you can see. You can take pictures with them and they will move unexpectedly. Watch the bird trainers show outside of the Rainforest Cafe (selected times). 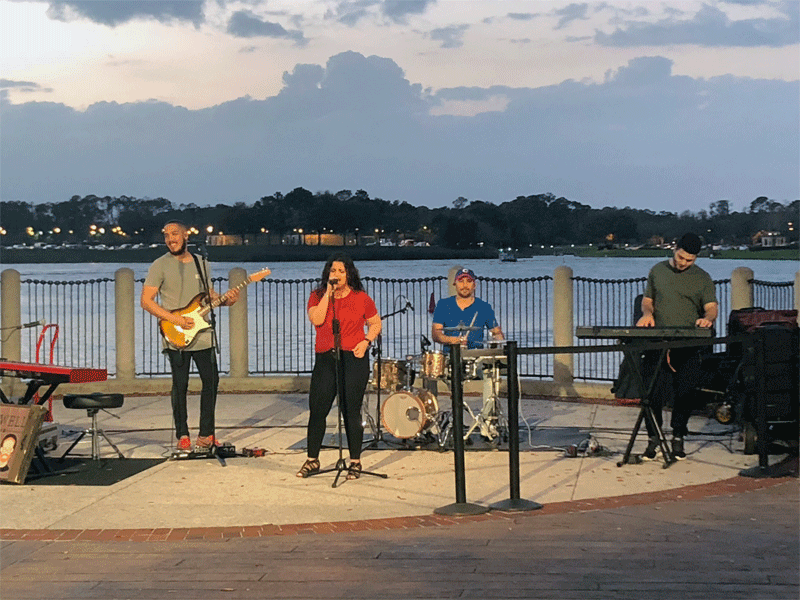 Enjoy a FREE Performing Arts Concert at the pavilion across from the World of Disney Store. Bands, choirs, cheerleading teams, and dance teams from all over the world come to perform at Disney. To keep this free you can’t spend any money. I have heard that there are clearance items sometimes, but they are are not advertised. You have to look under the item at the price sticker to see if it is on clearance. If you love something and must get it, be sure to check the ShopDisney Website. Things are never on sale at the parks but sometimes the website has deals on the same items. 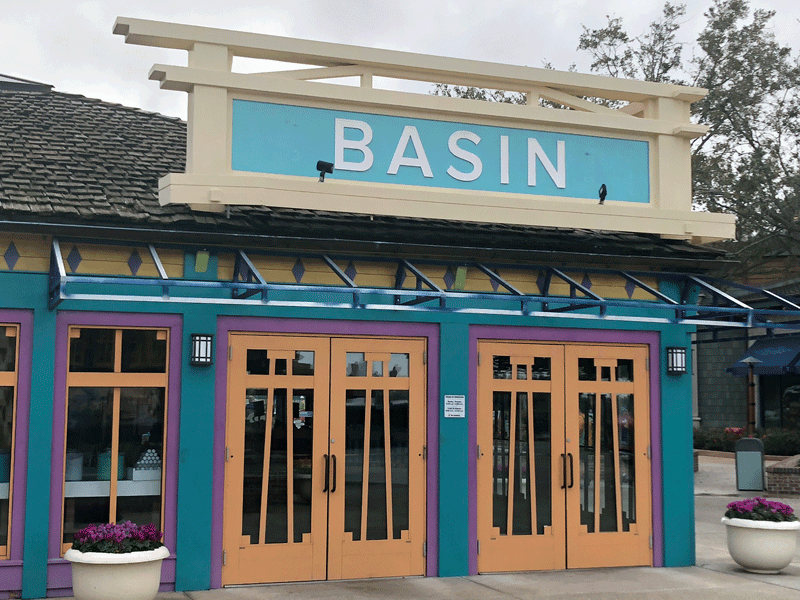 Print out your free Disney Springs Photo Scavenger Hunt HERE. 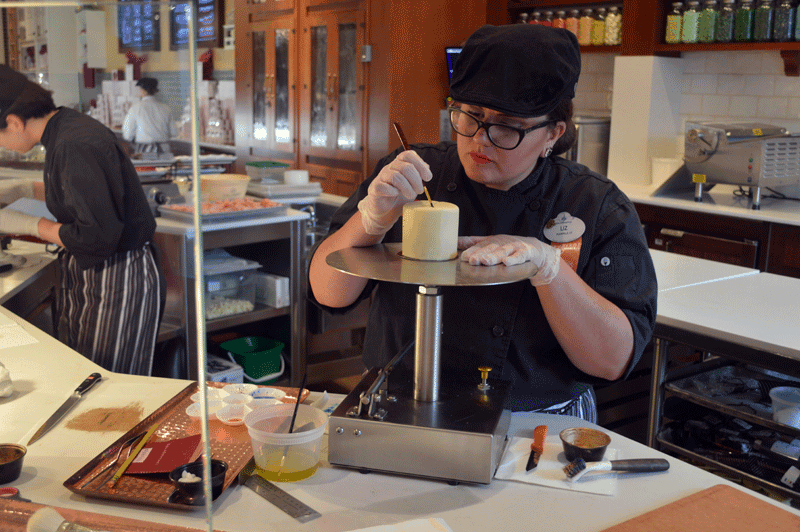 Stop by Goofy’s Candy Co., Disney’s Candy Cauldron, or Amaretti’s and you might get a chance to watch them create beautiful desserts. It is just like watching those gorgeous tasty videos but in real life! Pin Trade at the Pin Hut. The Pin Hut is a small store that has a lot of pins for sale and Magic Bands. There is a pin box that comes out sometimes that you can trade with. Cool off at the wonderful interactive fountains where children (and adults who came to Disney to be kids without scrutiny) may enjoy playing and getting wet. Raglan Road often has free live music in the bar, particularly on weekends – enjoy it the cost of a drink! (21 and over). There is also free music on the stage just outside of the Hanger Bar. 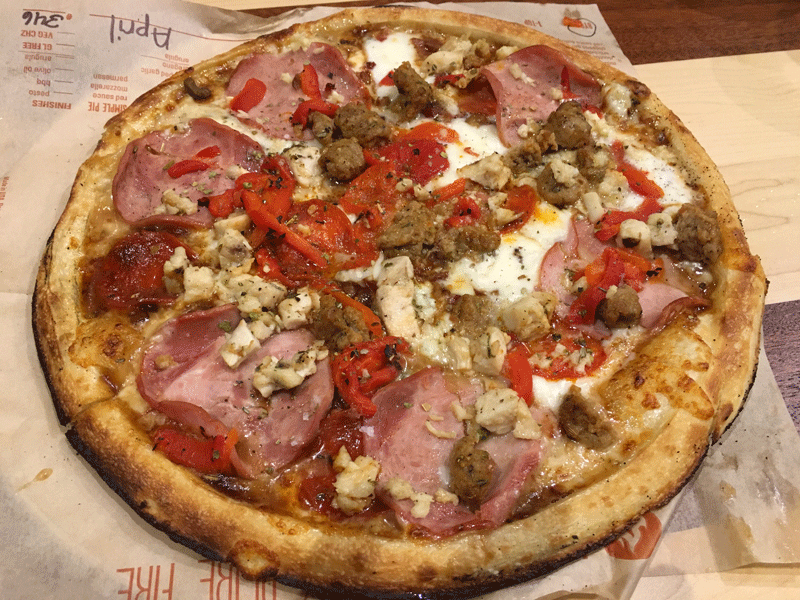 My favorite cheap bites are Blaze Pizza and the Daily Poutine. Don’t forget you can also grab free ice water at any quick service restaurant. 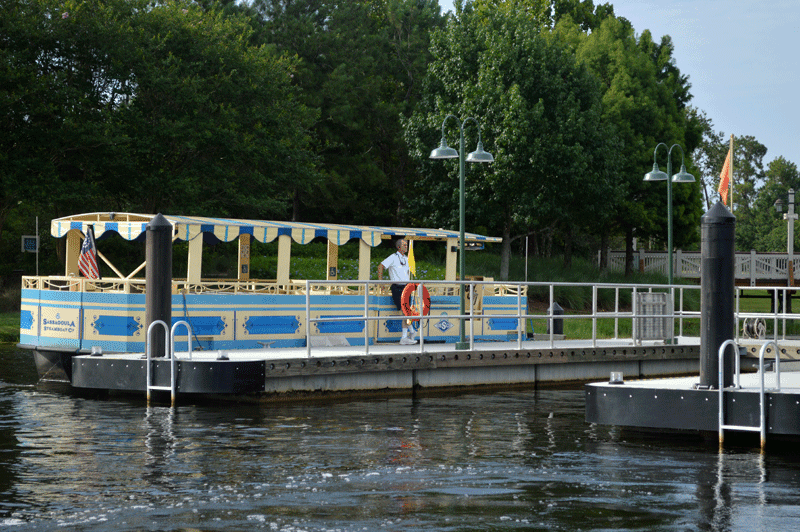 Cruise from Port Orleans to Disney Springs and back, along the Sassagoula River. 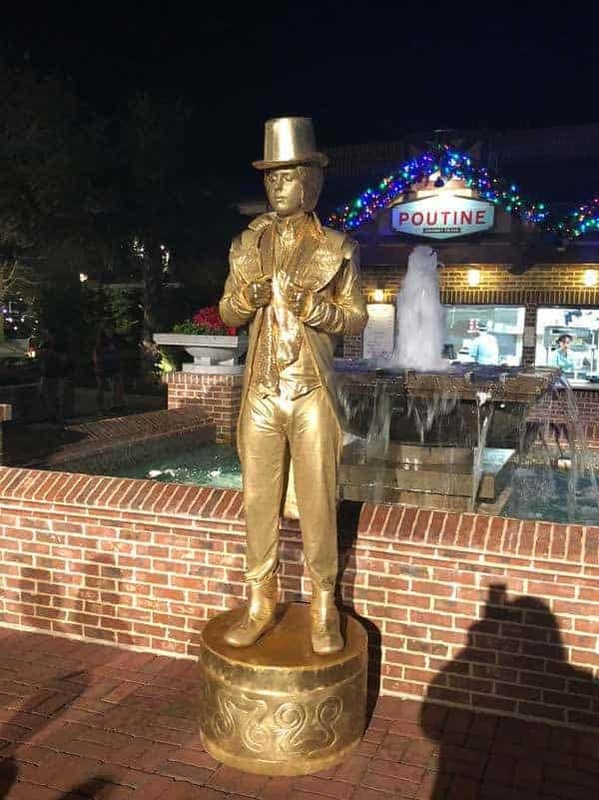 Stop and enjoy some cheap Beignets at Port Orleans- French Quarter’s Food Quart (Just $3.59). 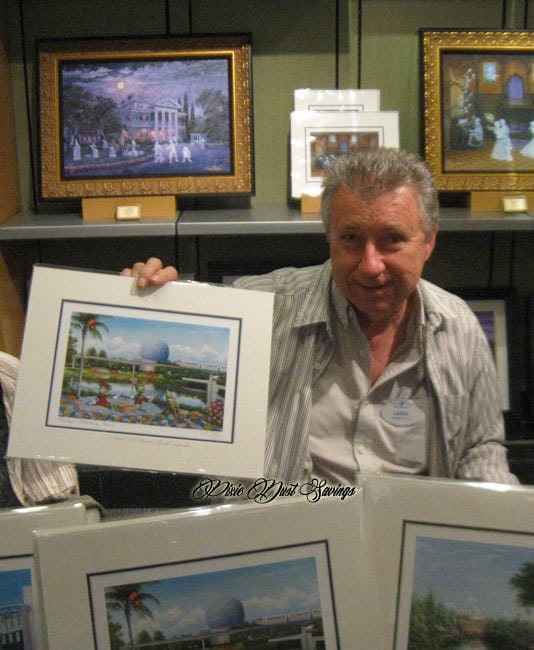 Take in the Art of Disney Store, since I can’t afford most of the artwork it is like going to an art show. Sometimes they will have an artist there drawing or painting that you can watch. 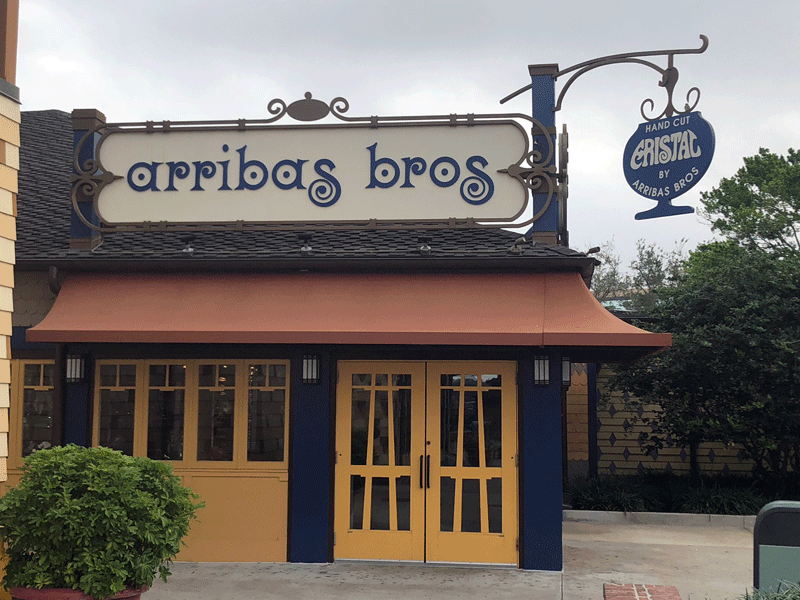 There are a glass blower and a glass cutter on staff doing demonstrations throughout the day at Arribas Brothers, and I enjoy watching the guys show off their skills. Right next door to Arribas Brothers is a store called Basin. You can wash your hands with their sugar and salt scrubs, leaving your hands silky smooth. You can also try their free lotion samples. Head to the Lego store. 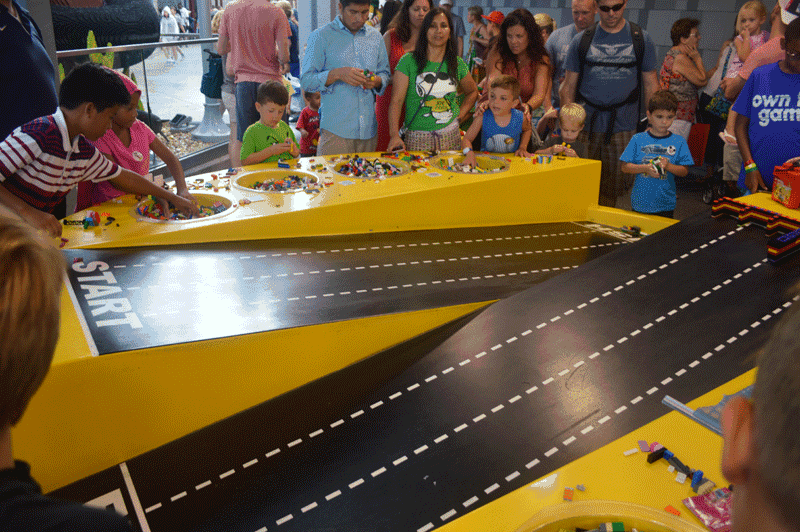 Out front, there are “build your own race car” stations and ramps that you can have a contest with. In the back of the store is a Lego table with tons of Legos for kids to sit and play. Parents can take a break and relax! Enjoy a cheap cupcake at Sprinkles. Read about how you can get a free cupcake at Sprinkles and my review of this sweet spot! 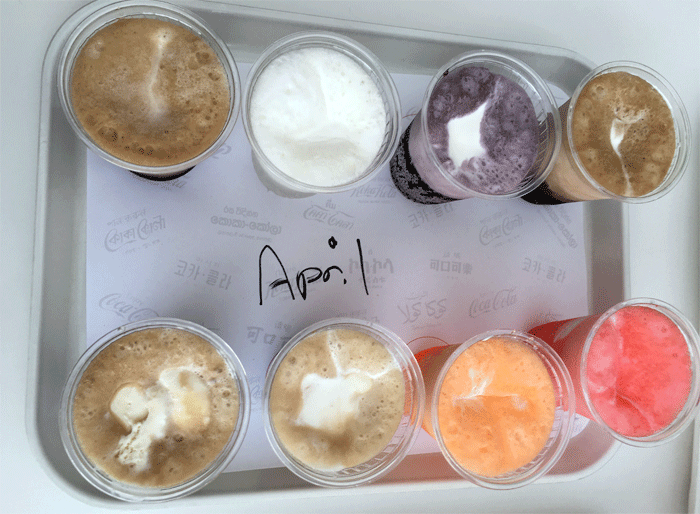 Grab a Coke Float at the Coca-Cola Store. Go to the Disney Photopass Studio and get some pictures taken. The pictures you take a free if you have the Disney Memory Maker Package. The Photopass Studio has a lot of different backgrounds and props to choose from and you can get quite a few pictures taken. Sign up for a DVC tour. It is no pressure and you are offered free stuff for attending. I have signed up twice only to miss my appointments due to unforeseen circumstances. Next time, I will make my appointment.